Thanks to @Attractions and @laughing_place on Twitter for the pictures and information. A couple of minor pieces of news today. 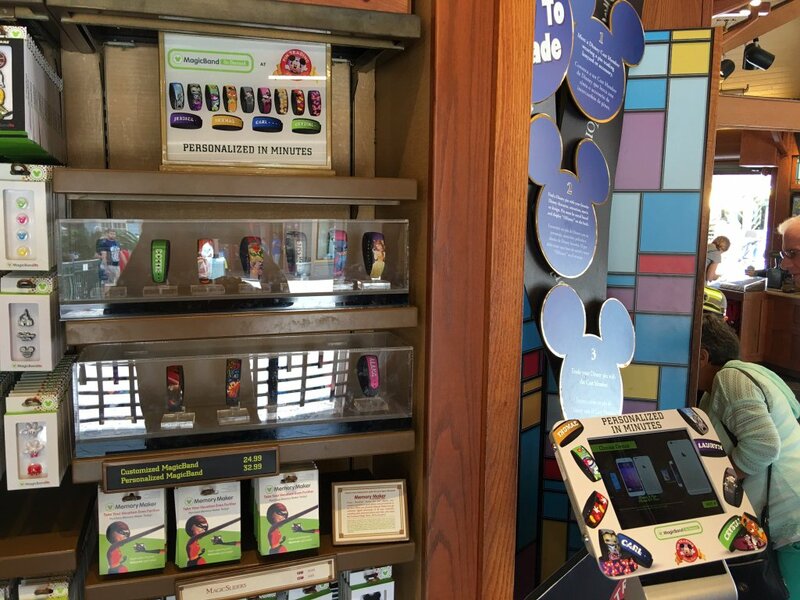 First, MagicBands On Demand can now be ordered at Pin Traders near the Marketplace Co-Op in Disney Springs. Then when they are ready, you can go pick them up at D-Tech in Marketplace Co-Op. The likely reason they added this extra station is because D-Tech in Marketplace Co-Op can sometimes get very crowded, so an additional ordering option makes sense. An for the second piece of minor news, many Limited Release and Limited Edition MagicBands are now on sale at Disney’s Florida outlet store called Disney’s Character Warehouse. It’s located in the Orlando International Premium Outlets outdoor mall within 5-10 minutes of Disney Springs. There they are selling some MagicBands at deeply discounted prices, including the Limited Release Pop Warner Super Bowl 59 (2015sb)and 2015 Cheer & Dance National Championships MagicBands for $9.99, as well as tons of the 2015 Mickey’s Very Merry Christmas Party Limited Edition MagicBand for $11.99. Get them while you can! 33 Responses to "Tidbits: Order MagicBands On Demand at Pin Traders; Limited bands on sale at outlet store"
I would hope they still make the special effects at the Magic Kingdom entrance and FP+ locations. I am pretty sure they do. I was just in Disney this past weekend! I wish I would’ve known. Missed out on Kylo ren and now MVMCP at a bargain! Ayy no luck what so ever. So the Kylo Ren was discounted? I had bought an extra one to sell later when we were there back in March. But if they never sold out and were discounted, then I guess that wasn’t worth it ;). I hope not sell the extra Ren for a profit? There are two Kylo bands. One is an open release. The other was a Limited Edition (edition size 2015) that came out in Dec of 2015. Yes, I have both. But I bought two of the LE (limited to 2015). And yes, I was going to sell for a small profit to make up for the hundreds I’ve already spent on all the other Star Wars bands, because I’m usually the one having to pay the extra mark up since we don’t live near Disney and only make it down a couple times a year. I haven’t done that before, but is there something wrong with selling at a higher price? I just want to make sure I’m not doing anything I’m not supposed to. Although it has been a couple months now and it is still sitting on a shelf in my office and I haven’t tried to sell it ;). Do what you want Tad but I despise flippers or as I call them Posers that buy extra to make money. 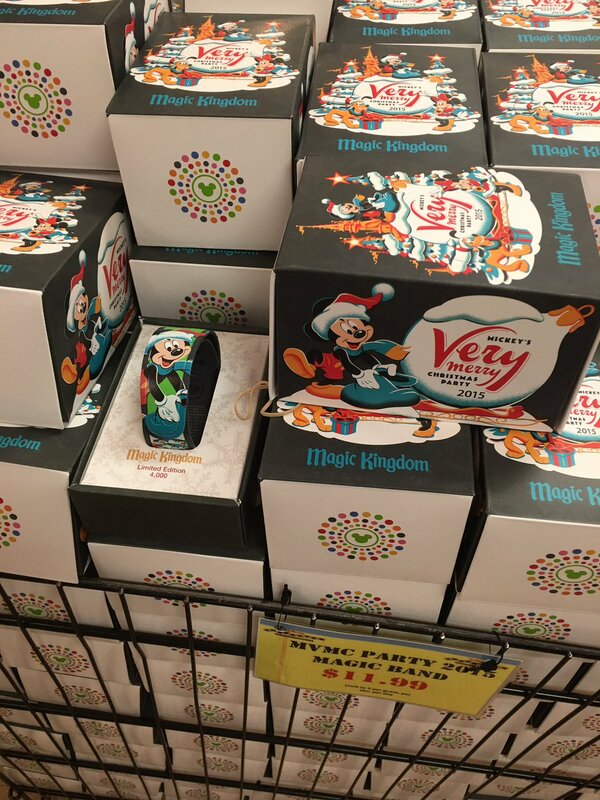 Plenty of xmas magicbands left at the outlets. FYI, they did not have them at the outlet on international drive, only at the one on Vineland. wonder if we’re gonna see drastically reduced numbers for party bands this year. is anyone willing to purchase one plus tax and shipping for me? I just left the Vineland Disney Store and I counted around 140 MagicBands left in the bin. They are located at the front, right next to the registers which could effect how fast they sell. I would LOVE these, awwww. 🙁 I don’t live close to get them. Any one willing to ship to me? I would really appreciate it! I know it’s a longshot! I was just at the outlet store and to make a long rant short they did not want to sell my girlfriend the vmcp band since the wifi has been down since yesterday… We told them we’d link it later so they relentlessly sold it to us but said it probably will not link since they couldn’t set it to “link it later”… We WERE able to link it when we got in the car. There were none on display and I believe this was the last one but I’m not sure as it was locked away behind the counter. Hi All – is anyone willing to buy me two of these and ship them? I would really appreciate it. I was just down there in April and would’ve totally made the trek to the outlet. Good to know for next time…I guess. Can anyone who bought this band at the outlet mall confirm if yours actually makes the special effects at Magic Kingdom? I have used it on different days at various locations in Magic Kingdom and only get the defaul effects ? That’s too bad 🙁 Hopefully they didn’t turn the effects off or you got a band that wasn’t linked with them somehow. I bought two at the outlet as well. Just went this evening and the lights and sounds didn’t work at the entrance or fast pass points. So disappointed. I know when you purchase a band they usually scan them with their tablet thing, they did not do so when I bought them at the outlet. Do the parks or stores have to link the band before they can make the lights and sounds? Honestly I really don’t know. This is the first time that I know of where special bands were sold without the lights/sounds on. I will have to check mine (which I bought directly at the party) to see if it still works. Did you try it at Magic Kingdom? That’s the only place they are supposed to work at. Yes it was at magic kingdom. You’re awesome being on top of your forums! Hopefully they start working. When I got mine at the outlets they did scan mine. I know we bought ours for much less than they were in December but it would be a letdown if only the ones sold at the outlets don’t work. BTW…I noticed they filled the basket back up with more LE christmas party bands this weekend. They must have a lot more in stock than expected. It makes sense that now they only make 2500 instead of 4000. Not only were they less expensive, but they were supposed to be exclusive to Mickey’s Very Merry Christmas Party guests only. Maybe that is why they aren’t turning on the lights/sounds for Outlet buyers. Yes, the change to 2500 makes a lot of sense. I hope they keep with these lower numbers as it makes them more exclusive. I completely agree that they should be more exclusive. I did speak with a few of the Disney Store employees at the outlets who did say that in the past they have sold some of the leftover LE bands but didn’t have near as many as there currently is for the LE Mickey’s Very Merry Christmas Party MagicBands. Yesterday, the MVMCP MagicBand finally worked but only at Pirates of the Caribbean. This was after I spoke with one of the guest service agents in Magic Kingdom to make sure the MagicBand was linked properly in their system. But they aren’t able to check if the special effects are turned on or off unfortunately. The bands lights and sounds finally worked today at entrance and fast pass points. Very happy since I believed we got duds at the outlet store.